A little bit of research will tell you that Google no longer focuses on keywords alone and that high-quality content is the way to go. Suddenly, all that hard work seems to go down the drain…or does it? 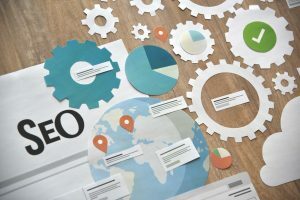 There used to be a school of thought that said stuffing your website content full of keywords would improve your rank. Back in the early 2000’s, that was often the case. But now, Google and other search engines are too smart; they can see right through this tactic. Focusing on keywords alone leads you to create thin content for the sake of improving your rank. This content does little–to-no good for your audience—the same audience Google wants nothing more than to assist. What used to attract search engines now deflects it, destroying your rank in the process. The keyword here (no pun intended) is “useful.” If you can create content that is useful and meaningful to your reader, the rest will fall into place. • Use your keywords to describe your website in search. Use your keywords in your meta descriptions on your website to help Google understand what your website is all about. These are often used as snippets for your pages in search results. • Use your keywords to improve crawling. Google will crawl your website to help index it for search-result purposes. Use your keywords in your page headings and blog headings as well as in your page titles if it makes sense. You can also use your keywords in your photo alt text when appropriate. • Use keywords to speak directly to your target audience. Your keyword research will be useful in determining the content your reader wants. Find what they’re searching for and write content that fits. There are many other uses of keywords when it comes to technical SEO. If you’re interested in truly improving your rank—and doing so fast—hiring an SEO specialist is the best route to take. Need Some Content Help? Call Us! Your SEO strategy and content are the peanut butter and jelly of your website conversion sandwich—you simply can’t have one without the other. If you find yourself struggling to make both your SEO and content happen, reach out to our team at Iceberg Web Design by sending us a message.